Now is a great time to start looking for that new water heater that you have been putting off for years. Having a water heater that is reliable and offers hot water when you need it is a great way to start shopping. 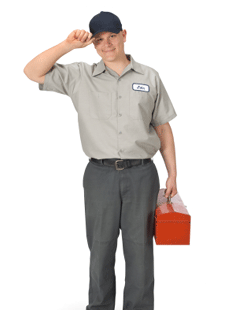 You should make a list of the features and the specifications of what you are looking for and that will cut down on the unnecessary time you may spend looking at water heaters that don’t work well with your home. We are offering you a starting point; we have profiled three of the best oil fired water heaters. You will find great efficiency, water on demand and great specifications and features. We will show you three companies, Bock Water Heaters, Toyotomi Oil Tankless Water Heater and the Aero Series Oil Powered Center and Rear Flue Models from Bradford White. Choosing a water heater can be challenging, you have to decide if you want a gas fired water heater or an oil fired water heater. Then you will have to choose whether or not you want a tank water heater or tankless water heaters. All water heaters have their pros and cons, the best water heater for you is the one that will offer you hot water when you need it and will save you money as opposed to costing you money. Bock Water Heaters has been in the water heater industry since 1955. This company was the first to invent the multi finned flue that was patented under the name of Turboflue in 1960. The companies have a wide variety of water heaters including oil fired water heaters. Bock Water Heaters offers 4 different styles of oil fired water heaters. These Bock Residential Oil Fired Indirect Water Heaters offers some great features. These water heaters offer the patented TurboFlue that can transfer twice the heat as a water heater with a bare tube with a baffle. 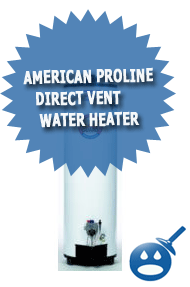 These water heaters are equipped with a two-stage pump and a one of a kind porcelain enamel tank lining. You will find refractory combustion chamber on every oil fired water heater. The Bock Oil Fired Water Heaters are insulated with a thick fiberglass and an R-value of 12. There is a Temperature and Relief Valve factory installed for a safer water heater. The Bock inventory consists of 12 different size storage capacities, ranging from 32 gallons to 113 gallons. They have a Cold BTUH that ranges from 104,000 to 623,000. You can find the nearest Bock Water Heater location if you check out the Bock Water Heater website. Bock offers residential as well as light commercial water heaters. These are tank water heaters and they offer energy efficiency as well as being cost effective. There is definitely something to be said of the new popularity of the tankless water heater. These water heaters are designed to bring you hot water on demand. They have proven to be a bit more cost effective than the tank water heaters due to the fact that there is no tank storage so extra water is not being used. There is less energy being used because the extra water in the tank doesn’t always have to be heated. One of the best tankless water heater companies in the industry is the Toyotomi Oil Tankless Water Heaters. The Toyotomi Oil Tankless Water Heaters especially Model OM-148. This model offers you more consistent water temperature and a stainless steel heat exchanger. These features can help save you up to 70% on your heating costs. The OM-148 can actually heat up to 240 gallons of water in as little as one hour. One of the great things about this oil fired water heater is that they work great in residential homes as well as mobile homes. This oil fired water heater has an energy efficiency of 88%. The hot water output is 148,000 BTU’s per hour and a fuel consumption of 1.1 gallons per hour. It is recommended that the Number One and Two Fuel Oils are used on these water heaters. The AERO Series Oil Powered Center and Rear Flue Models from Bradford White are on the best in the Bradford White inventory. These oil powered water heaters are for residential homes that offer reliable hot water any time. This water heater series offers a factory installed HydroJet Total Performance System on all center flue models only. These water heaters are equipped with a flexible stainless baffle on center flue models only. This water heater comes with a dependable fiberglass insulation that protects the water heater as well as helps keeps the heat inside the water heater. There are three different models available, the CF-32-6, the RF-30-6 and the RF-50-6. The AERO Oil Powered Water Heaters are constructed with a ceramic fiber combustion chamber and a protective magnesium anode rod that will protect the water heater from rust and corrosion. These oil powered water heaters from Bradford White offer a brass drain valve, low operating costs and a high recovery rate. Bradford White offers a six-year limited warranty on the tank and two year limited warranty on the parts and two year limited warranty of the burners. These water heaters are tough, reliable and have a great reputation for their high input. These water heaters meet with industry standards. Bradford White prides their company on providing features that customers can depend on and easy to install water heaters for the professionals who install them. Choosing a water heater can prove to be challenging to say the least. You want to make sure that the water heater that you choose has a big enough output that you could provide enough hot water to the home. There are so many different brands and styles that it can be hard to choose. But the Bock Water Heater, Toyotomi Oil Tankless Water Heater and the AERO Series Oil Powered Water Heater from Bradford White are the best in the oil fired water heaters industry. It is always a good idea to do more research when it comes to choosing a new water heater. Get all of the necessary information that you need and do some comparative shopping. All of these water heaters have several sizes and models available. Make sure that you are getting the correct size water heater for your home and take your time and make the right choice. We hope we steered you in the right direction. I can use kitchen book prporcietisns all along. The majority of prporcietisns of books is not so unique. Nobody will find out. And, supposing that the author deals with book of kitchen of his restaurant, this person it would have a little while very difficult to try that you robbed his you prescribe. The unique thing that it must worry is using a name of a plate that is tie with another restaurant. For example, if one were to sell Big Macs or Whoppers, that would be a problem.